Main Street Dry Cleaners – North Georgia’s #1 Dry Cleaning Service! quality while getting it done on time. 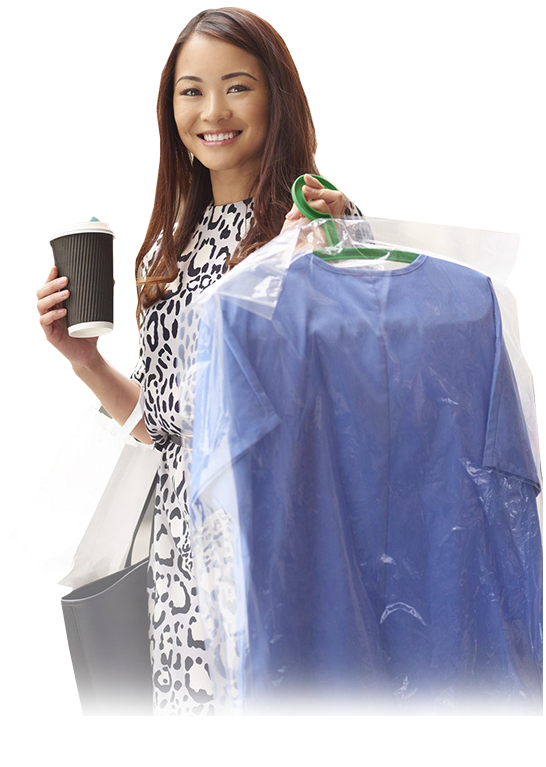 Dry Cleaners locations are airy, crisp and new. Our happy, well-trained, energetic staff will greet you with a smile, and are eager to serve you. We machine wash your garments and use our special cleaning formula to fight the toughest stains without sacrificing the quality of your fabrics. We set your garments up with a Unipress machine to dry and press your clothes simultaneously with ease. This creates the smooth, fresh feeling. We have the best Sewing & Alterations service. Excellent tailoring at competitive prices. Your garments patiently await your arrival wrapped in plastic for protection and quality. Enjoy quality, well timed service! Enjoy a great experience. We make sure the job is done right. We work diligently to ensure the highest quality while getting it done on time. Rush cleanings are available! Enjoy classic customer service. We pride ourselves on being able to offer clear & open communication to our customers. We’re happy to receive any feedback you may have about how we can offer better service. Your voice is heard here! We give special discounts and promotions to our community all the time. Sign-up for our email list to be the first to know about our exclusive deals every week! Contact Us Today With Any Questions Or Feedback.